Within Settings, you can choose what custom workflow statuses are available for tasks, notes and emails. 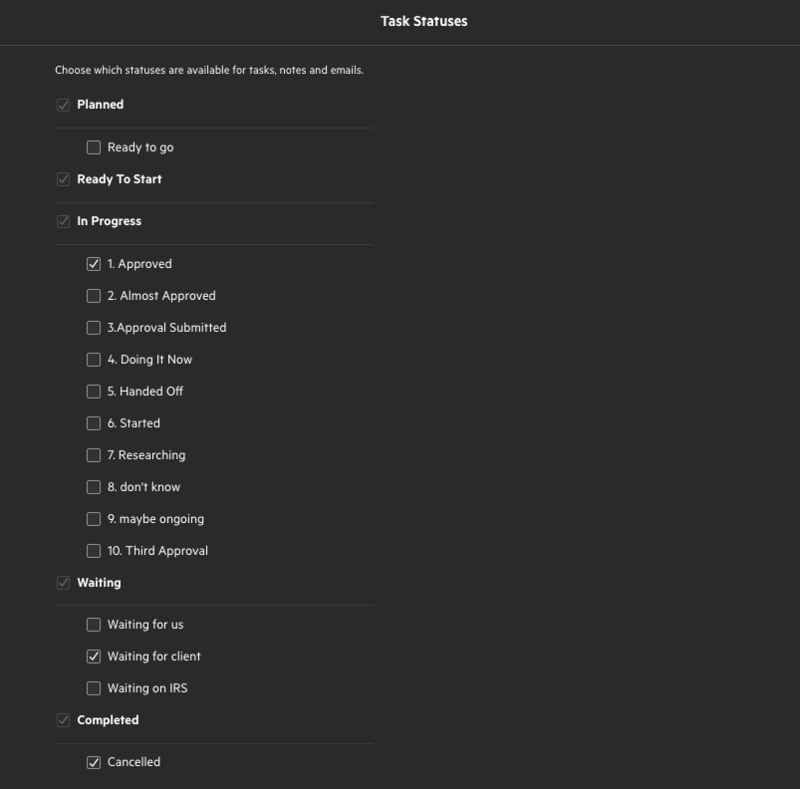 As well as being available for your work items, your custom Workflow Statuses are available for tasks, notes and emails. Because the workflows of these items might be different to your work items, you have a separate area to choose what statuses will be available. Navigate to Settings > Task Statuses. Here, you will see a list of all all custom workflow statuses that have been created by members of your company. By adjusting the checkboxes, you can then control which statuses will be available for tasks, emails and notes to be assigned. You are unable to uncheck any of your five primary statuses (Planned, Ready To Start, In Progress, Waiting, Completed)—they need to be made available for all items. If you choose to uncheck a custom status that is currently in use by a task, email or note, that item will be assigned the primary status that the custom status sits under.